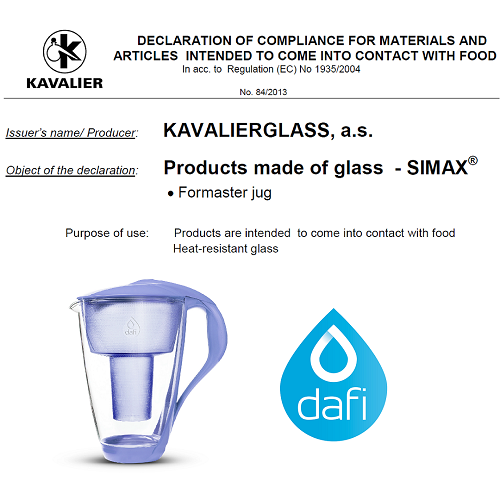 Dafi Crystal Pitcher is the only alkaline pitcher on the market that is made of glass. Thanks to highest quality, borosilicate glass you can enjoy alkaline water with pH for 30 to 45 days! 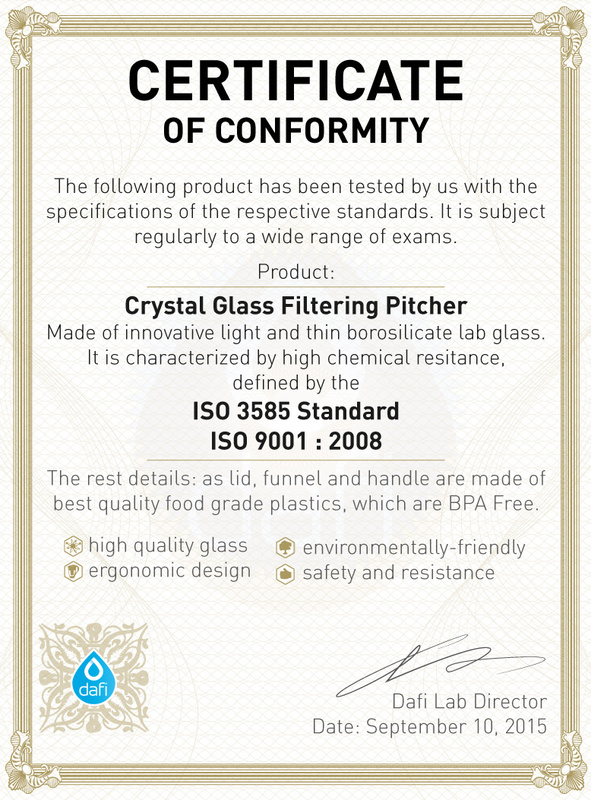 Alkaline UP Water Filter inside Crystal Pitcher has been scientifically proven to give water for 40 gallons of water. Dafi Crystal Pitcher is equipped with LED indicator which will remind you when you should change the filter. If you are more tech-savvy type of person, you should definitely download My Dafi App (for FREE!) and let it monitor the days that have passed since you started using the cartridge. Why overpay and spend enormous amount of money on bottled alkaline water? Try alkaline water from Dafi Crystal Pitcher and see the difference!